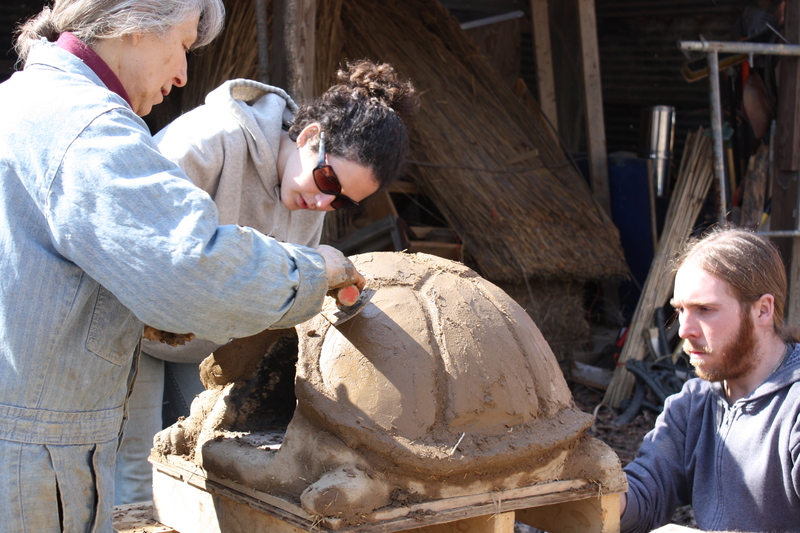 Take part in the construction of an Earth Oven at Dave & Dorinas (L”eFevre Homestead) on beautiful rural land outside Oxford, MI. You will learn everything you need to know to create your own Earth Oven: how to source materials, make and apply the “oven mud” mix, insulation layers, and finish layer of the Oven. You will learn the principle of firing and using the oven and how to apply these skills to other projects you can make from “Cob . 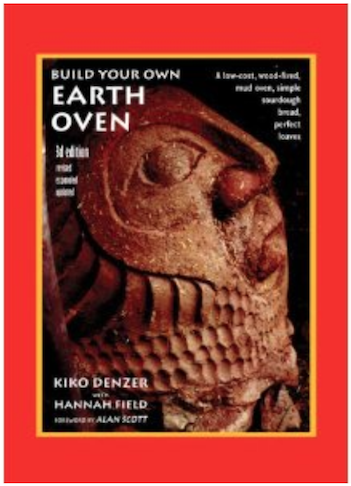 The class i includes a copy of the 3rd edition of “Build Your Own Earth Oven” by Kiko Denser. 2-Day Class $145 paid by March 3, $175 thereafter if there is room. Group Rates & some Scholarships /Worktrade available. Limit 8 students. 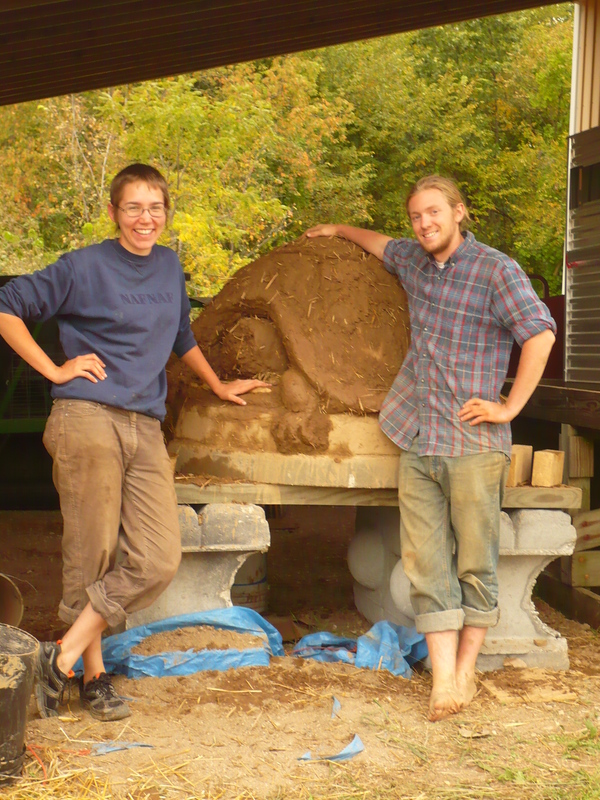 Income supports the Strawbale Studio land & program. Instructor, Deanne Bednar, is the coordinator of the Strawbale Studio Sustainable Living Program outside Oxford, MI. She studied with and occasionally co-teaches at the Cob Cottage Company in Oregon, including a 10 day course with Kiko Denzer ! Loves to sculpt with earth, making practical, things from local, found materials. Illustrator of the Cobbers Companion, The Hand-Sculpted House and the Natural Plaster Book. 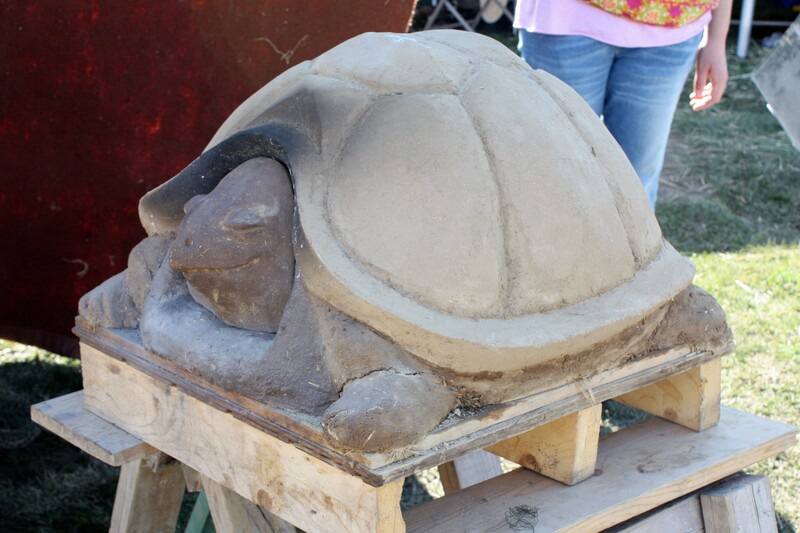 Deanne has been involved in the construction of the Smiling Face Earth Oven (built with Interns), the Traveling Turtle (built with homeschooling teenagers, The Kensington Metropark Farm. She also assisted on renovation of this amazing Bird Oven by Kiko Denzer . Kiko, earth oven builder and sculptor, gives a step by step guide to making beautiful, outdoor ovens. 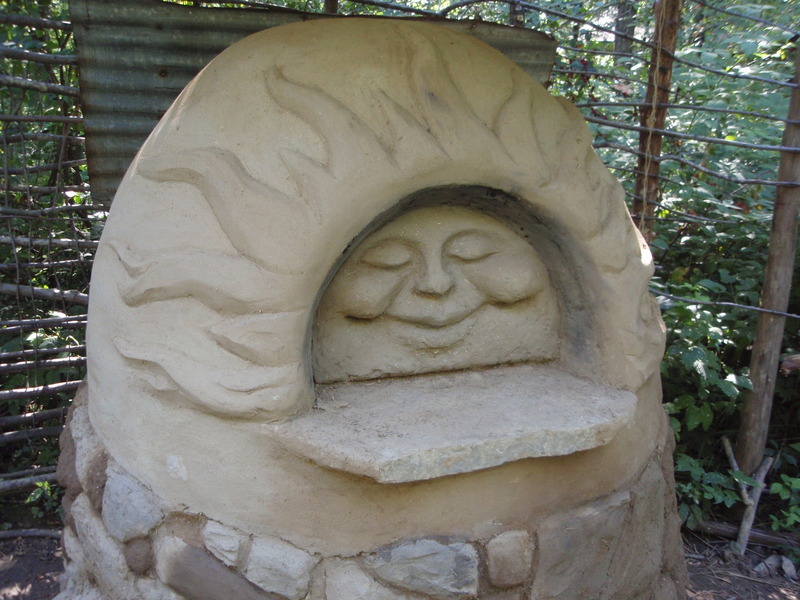 The Smiling Face Earth Oven is constructed primarily of clay / sand subsoil. This traditional type of oven has been used throughout the world, over time, to bake anything you could bake in an oven. It is of course beloved as a Pizza Oven ! This oven has a suspended metal roof which protects it from the elements. and a fieldstone foundation sitting on 8 inches of gravel below the ground level (grade).